Single origin milk chocolate with honeycomb pieces. 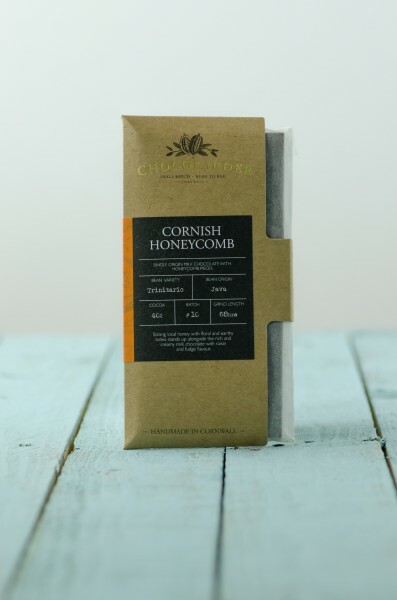 The Chocolarder source small batch, cold-pressed honey from bees that feed on the wild flowers and heather of Cornwall’s Lizard peninsula to produce this smooth milk chocolate honeycomb bar. Tasting Notes – Strong local honey with floral and earthy tones stands up alongside the rich and creamy milk chocolate with raisin and fudge flavour.